I received a query from a possible guest contributor a few weeks ago and it piqued my interest. He had a piece rejected from one market, but another market scooped it up. This other market is a great resource for writers—one that provides a newsletter I read every week, along with 70,000 other readers! Today Allen Taylor gives us a look at his method for querying, what editor feedback helped him, and how it lead him here. Remember, you can be a guest contributor too, read the guidelines. I’ve never considered rejection a negative. It can often lead to a better opportunity, or at least one just as good. I had been doing the same type of work for seven years when I decided to try something different. I began sending out query letters to paying markets I wanted to write for. 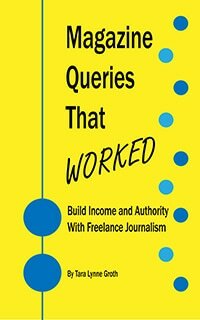 One of the first queries went to a very popular freelance writer who teaches other freelancers how to make more money. She was gracious in rejecting my story idea, but in her rejection I found a nugget I could use to make my query stronger. When an editor tells you there is a weakness in your story idea, take that as a sign that you need to rethink the idea. That’s exactly what I did. I wrote a query that would address specific questions that my target readership would ask about the topic. I chose a topic I was familiar with and could write about off the top of my head. In the query, I provided a step-by-step outline of my article talking points. For each publisher, I personalized the query to address specific guidelines (and even addressed the editor by name). I was polite and offered to answer any questions the editor might have about the query or the story itself. I believe my query was successful the second time because it addressed specific concerns of a targeted readership and told readers how they could make more money doing something they already know how to do. In short, it was the right market with the right information at the right time. And I credit my initial rejection with ensuring the article overcame natural objections by addressing a question I had not originally thought of. The next week, I followed up with a second query to the same market. That was accepted too. If you find a market that will pay you for your work, put them on your re-contact list and send them another query at a later date. Read the article that put me in front of 70,000 readers. Allen Taylor is an award-winning journalist and freelance writer at Taylored Content. He also teaches an e-course titled Blog Marketing For Writers. You can connect with him on Google+.